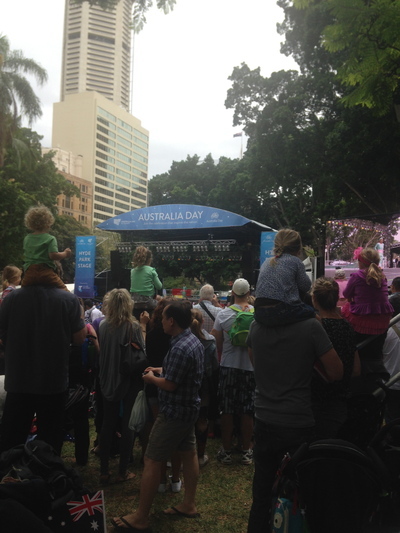 There is plenty of entertainment to keep Sydney siders happy and occupied on Australia Day in Sydney City. If you're heading into the city by train, alighting from either St James or Circular Quay train stations prove to be the most popular. Sydney's Hyde Park is right next door to St James train station. 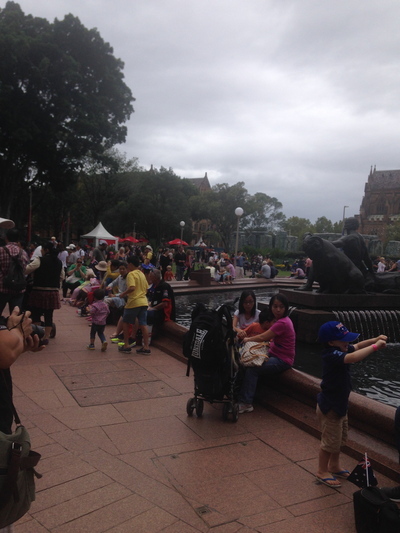 This is one busy hub on Australia Day. 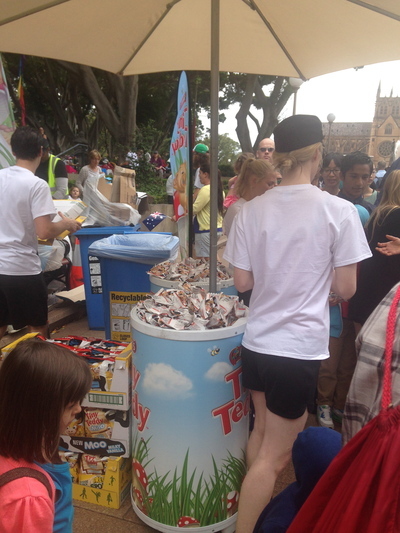 Sydney Water provides free water drinking and top up stations, and there are Australian food manufacturers offering free samples of their products. For the kids, Hyde Park really shines and takes centre stage with a full stage performance. The latter normally starts at around 9am. If you come here around lunch time, you'd be lucky to sneak in due to tight security. The Wiggles make an appearance, and for 2014's celebrations, Angelina Ballerina makes an appearance following a short, epic season at the Sydney Opera House in late 2013. Free street performances continue to delight. Hyde Park is always home to some excellent Sydney Festival events, and Australia Day of every year marks the last day of the Sydney Festival for another year. 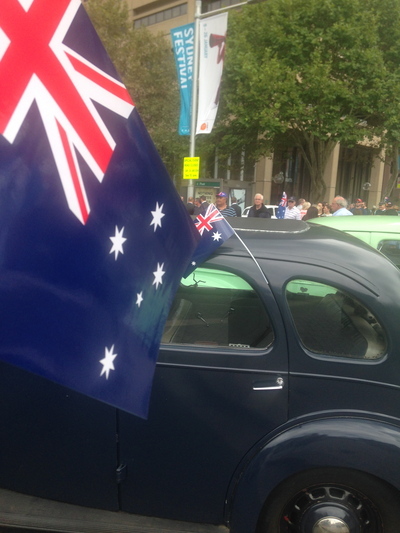 Macquarie Street is home to a number of parked vintage cars that many (young and old like) love to look at and admire. This display starts at Hyde Park and ends right near the Conservatorium of Music. 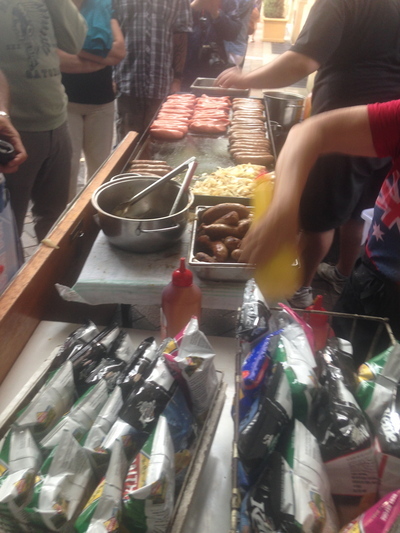 There are a few stands where you can enjoy a sausage sizzle for only $3. The Hyde Park Barracks gives adults entry at concession ticket prices. Therefore, instead of paying $10 for entry, your ticket into this museum of convict history is only $5. Right outside the Hyde Park Barracks, you might be lucky to see some street art in action. Where Angelina Ballerina performed at Hyde Park. For the kids. You're able to pick up a free Australian flag from the information stands at Hyde Park - right on the Elizabeth Street end next to St James station, or right outside the Hyde Park Barracks. 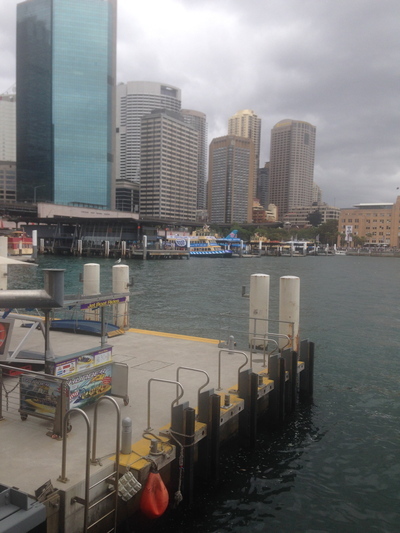 Circular Quay and The Rocks are other busy hot spots on Australia Day. The Rocks Market continues on as usual. People hang out around the Sydney Opera House and the Sydney Harbour Bridge. In the mornings, some of the commuter Sydney Ferries get decorated with corporate sponsors for the Ferrython races. Free street theatre is ever so popular on this end of town. Darling Harbour is also naturally busy on Australia Day in the city. 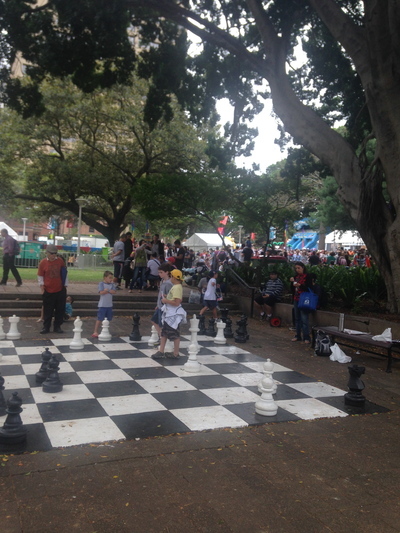 There are a few free kids performances, and the crowds just love to spend time down here during the day. The highest quality street performers also take centre stage right near Harbourside and Cockle Bay Wharf respectively. The fireworks at 9pm are always a hit. Just like New Years Eve all over again. 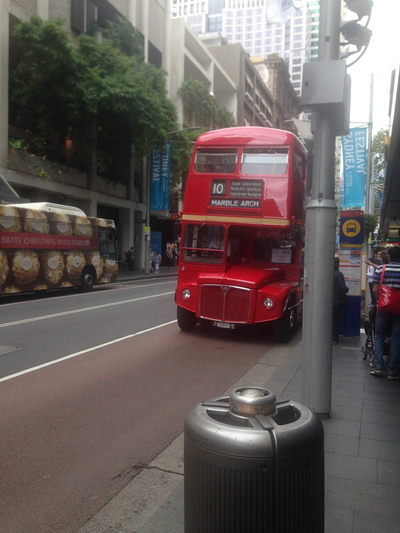 Free double decker bus rides were also available. Taken right outside Wynyard train station.